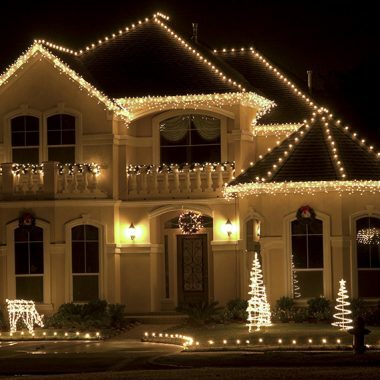 Our Markham Christmas light installation services will make your home look fabulous this holiday season. We provide full lighting services whether it’s roofline lighting, landscape lighting, tree lighting, and more. From interior to exterior, commercial to residential, we provide complete lighting solutions for you and your property this season. Our friendly and skilled team serve both commercial and residential properties for all holiday lighting purposes. We are able to create a custom lighting plan for you, or should you like us to fulfill an idea you have we are fully capable of transforming your dream into reality. 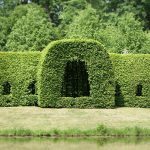 We utilize only the finest, high-quality lighting and accessories in our services – you can rest assured that your property will look fabulous all season long. Enjoy all the benefits of a bright and beautiful holiday lighting setup without any of the hassle, or stress associated with purchasing, installing, maintaining, or post-season removal. While providing you with priority scheduling, we’ll handle this entire process for you. Learn more about our Markham holiday lighting 5-Star All Inclusive program. The first step of an exceptional holiday lighting setup is a consultation where you will be able to explain to us what look you’re after, or if you would like, we will design the perfect look for you home. At the end of the season we will carefully remove and store you lights in a location of your choosing, or we are able to provide for you offsite storage as a service. Our skilled team will purchase all required holiday lighting and accessories, and setup your home so that it looks perfect. We provide interior & exterior service so you home will look great. Our holiday lighting services also include maintenance service. While we use quality lights and accessories, sometimes things fail, in the event we’ll be there to fix the problem. We can store your lights on your property, or alternatively, we can provide offsite storage as well. If you have any questions about our Markham Christmas light installation services give us a call. We will be happy to discuss any specific needs or requirements you may have – we are here to help! Everyone wants to have a beautiful looking home this holiday season. Markham holiday lighting installation services are one of the best way to achieve this goal. 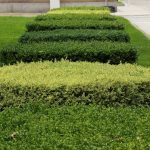 Not only will your property look great, but there are three common problems property owners face that this service solves. One big problem surrounding lighting installation is the necessity of working at heights. For the inexperienced, using a ladder during the cold season can be quite challenging. Not only are ladders risky to begin with, but add in wearing bulky clothing and working with long strands of lights, and you have a disaster waiting to happen. Annually nearly 9,000 Ontario residents end up in the hospital due to a ladder accident. 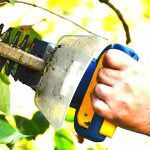 Hiring a professional to take on this work will stop you from putting yourself in harm’s way. In our modern day and age, free time is a fantasy many wish they could experience. 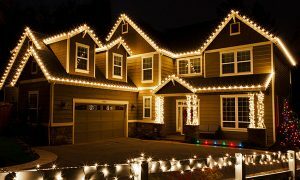 Hiring a professional to install your holiday lighting can give back some of your limited free time. Who wants to spend their weekend researching lighting designs, researching the best quality of lights or accessories, finding where to purchase all these items, digging out their ladder, and more. All of the work required to set up beautiful Christmas lighting takes a huge amount of time. Let us handle the work for you, you can do something more enjoyable with your time! Often time’s people have beautiful plans and designs in their minds eye, if only they knew exactly how to carry them out they would have an amazing holiday lighting setup. Bringing these ideas to the real world can be quite troublesome for an amateur. 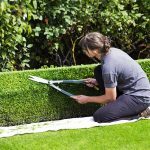 In order for your home to look it’s a best, a professional touch is required. 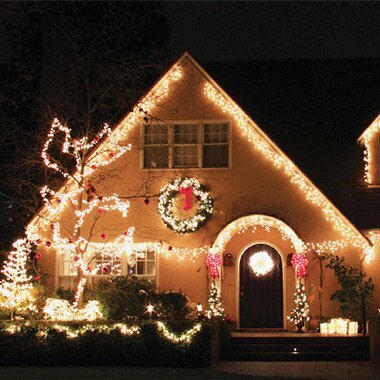 Hiring a professional Markham Christmas lighting installation team will help to ensure your home looks it’s best.